— Over the last year and a half, Saudi Arabia has been widely mentioned in the Russian media because of the OPEC+ deal, signed by OPEC and Russia that helped to stabilize the market quite significantly. Are you happy with how this agreement has been working out so far and what was the main outcome for the global oil market from this deal? Allow me to go back a few years back. At the beginning of this decade oil prices were $100 per barrel and many people thought that this was the new normal. Demand was growing, slower than now, but still growing, supply and demand in balance. But in reality the balance was due to outages in some countries due to geopolitical issues. High oil prices were hurting demand and we saw that demand slowing down considerably by 2014. It takes time for demand to respond, but it ultimately responds. We saw it in 1980s, in 2000s, we are seeing it now. In a period of 3-4 years after the price hike we see the demand response. And also, which is more significant, we saw the supply respond in a form of expensive oil from offshore and most notably from US shale coming on strongly. And ultimately the oil caused an oversupplied and unbalanced market. In 2013-2014 it was obvious to us that market was not sustainable under those conditions. And as a result we saw the price crash from $100 to $25-30 per barrel. Consequently we started our discussions with our Russian colleagues, most notably there were discussions at the leaderships level in 2016 during the G20 meeting in China, where president Putin met with His Highness The Crown Prince.. And they agreed that Russia and Saudi Arabia needed to help the world to get out of the slump. Because the slump was hurting the world, not only the producers, but even the consumers, who were affected by the slowdown of industrial growth, inflation, negative interest rates. After that first meeting we met later. And not the two of us agreed, but 24 countries in Vienna in December 2016 agreed to create the OPEC+ alliance to manage production . We did not shock the market by constraining supply. We did it very gently. And the result was that by early this year the market was returning to balance. Excess inventories, which were very high and depressed the market, disappeared. We are now close to 5 year normal average of oil stocks. Supply and demand are close to each other, and the market is balanced. Of course, it helped producing countries like Russia and Saudi Arabia. But, also it helped consumers a lot. Returning the oil markets to balance was the lubricant for the global economy to return to the growth to the very healthy rate we are seeing now. All the parameters of the global economy are healthy. So, in a nutshell, we appreciate Russia’s role. What we want to do? This cycle is ending, and oil market will ultimately go through another cycle. We want to keep supply and demand balanced in the long term. In last three to four month we have coordinated with minister Novak to increase supply, because by May this year there was a lot of stress in the market about the shortage of oil, especially with sanctions and with reductions in some countries like Venesuela and Mexico . There were concerns, that there would be a shortage of oil. And if we continued the same policy that we had had in the previous 1.5 years, we would see the oil above 100 again. So we intervened. We had discussions with minister Novak during the Saint Petersburg Economic Forum in May and we met in Moscow during the opening of the World Cup. Finally we agreed that it was time to change the course. The policy of withdrawing supply has accomplished its mission, and now it is time to gradually release supply. We have managed to convince the OPEC+ group. And from June till now we see the market has relaxed. So we have proved to ourselves that we can work with Russia and keep the markets balanced whether there is the shortage or oversupply. So I want to emphasize that given the success of two years coordination between KSA and Russia, we need to establish the framework for the long-term coordination. . Oil market is always cyclical, and without cooperation that cyclicity causes the severe volatility. And it is important to help moderate the volatility so that all participants and especially investors know that big producers like Russia and Saudi Arabia are working together to balance the markets. But nevertheless we want to sign a new cooperation agreement that is open-ended. That does not expire after 2020 or 2021. We will leave it open. And what we would like to do is continue for OPEC and non-OPEC to work together. And the difference is that there will be no fixed term for the agreement, which allows us to bring production up or down. It should not have fixed production target. But it allows us to perform regular coordination and sharing information on what are our views on the market, supply and demand, how healthy the market is, what kind of intervention we need, if any, and when. Another new aspect is to create a secretariat for OPEC+. For now there is no secretariat. Only OPEC secretariat both serves OPEC and OPEC+. For non-OPEC countries from OPEC+ we will offer to them to create a secretariat in Vienna to work closely with OPEC. Of course, if any of OPEC+countries wants to join OPEC, we have a process in OPEC to consider membership. But many countries expressed the desire to work closely with OPEC, but not to join OPEC. And we respect this approach. Russia is one of those countries. But there are many variations on how to cooperate. The latest discussions we had in June showed that OPEC+ countries want to continue to work within a longer-term framework. Yes, we ultimately want everybody to be on board. But my experience is that countries like Russia and Saudi Arabia with bigger scale and bigger impact ultimately carry more weight. It is not through voting and through formal process,but through convincing. Because people know that if we agree to cut five percent , as we did, our volumes are huge. Our production cuts were close to 600,000 bpd every month through the duration of the agreement out of 1.8 mln bpd of total OPEC+ cut. So when we sit around the table, our voice carries more weight. The same with Russia, which cut 300,000 bpd out of 560,000 for total non-OPEC cuts. And all OPEC+ countries are very respectful of Russia. So I think we should not hang on voting and formal process, but focus more on alignment and objectives. Once you get the trust of other countries and understand their objectives and you are serving those objectives with your actions, formal voting becomes irrelevant, most decisions are made by consensus very fast. This is how it works. I think there are many uncertainties about 2019 that it is very premature for us to say what we will do. The only certainty for 2019 is that we need to be ready to act promptly and effectively. You have got uncertainty with the demand for many reasons. There are trade frictions that affect major trading countries. You have developing countries like Turkey, Argentina, India, which have a lot of pressure on their currencies. As a result you have strong dollar and weak emerging economies. So potentially a world economic slowdown could hurt oil demand. And if demand is low, we know oil markets will respond. On the supply side we could have problems with disruptions of production. First, we have sanctions on Iran, and nobody has a clue what Iranians export will be. Secondly, there are potential declines in different countries like Libya, Nigeria, Mexico and Venezuela. If any of these countries’production is significantly impacted, it will have an impact on the balance in the market. Then there is uncertainty about the US shale oil. Also many people say that in 2019 there will be pipeline constraints on moving oil production in the US. So we need to be ready to look at the balance. And if supply is too long, we should be able to cut. If supply is short, we have to be able to respond. We would like to do it in a coordinated way. We do not want to confuse the market and surprise the market. 2019 is a very critical year to keep the market in balance , which we have achieved after a lot of hard work, and we should not lose this hard work. 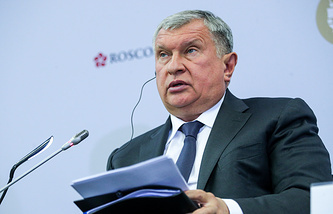 If the Group [OPEC and OPEC+ – TASS] works together, we can quickly act to adjust production. I think that rational people in the world know that oil is a very important commodity for the rest of the world. If oil prices will go too high, it will slow down the world economy and would trigger a global recession. And Saudi Arabia has been consistent in its policy. We work to stabilize global markets and facilitate global economic growth. That policy has been consistent for many years. We suffered in the past from political crises, this is not the first time. This incident will pass. Of course, this is not my mandate to speak about it. Our government through political channels is addressing this issue. But Saudi Arabia is a very responsible country, for decades we used our oil policy as responsible economic tool and isolated it from politics. So lets hope that the world would deal with the political crisis, including the one with Saudi citizen in Turkey, with wisdom. And we will exercise our wisdom both in political and economic fronts. My role as the energy minister is to implement my government’s constructive and responsible role and stabilizing the world’s energy markets accordingly, contributing to global economic development. Aramco continues to grow, petrochemicals in particular. Sibur is an interesting company, we have talked with Novotek (the main shareholder of Sibur) and Mr Mikhelson (Leonid Mikhelson, CEO of Novatek). 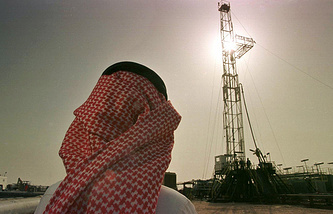 There is a potential project in Jubeil (petrochemical JV with Aramco and Total in Saudi Arabia) for Sibur. Aramco has a target of 3 mln bpd to convert into chemicals, and part of it could be Russian oil, it does not necessarily have to be all Saudi oil. So JV between Sibur and Aramco is one possibility. As well as buying equity in Russian companies, especially in the companies with technologies. Sabic will not be the last deal that Aramco does in chemicals. Aramco continues to look for the right companies. We are doing a lot of projects in many countries – Malaysia, China, and recently in India. But in addition to the mega projects we are looking for the large, medium and small companies to acquire. I have attended the inauguration of Yamal 1 and it was very impressive just to see that Russian companies can operate in such difficult environment. It was also impressive to see president Putin, his vision, his leadership, his determination to open new frontiers for Russia. At that time we had initial understanding that we will look at the next project[Arctic LNG-2 - TASS]. Early indications are positive, reserves are there. We expressed interest, now what we have to do is to agree on the terms and negotiate them with Novatek. 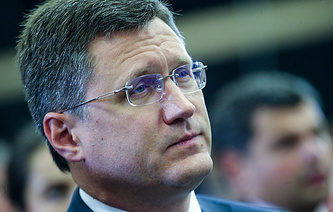 We hope to be the second largest investor in [Arctic LNG-2] after Novatek. We not only want to come in, we want to come in with the substantial stake. Hopefully our terms will be accepted. But regardless of what happens with [Arctic LNG-2], Aramco will be a major player in the global LNG market. That decision has already been taken.